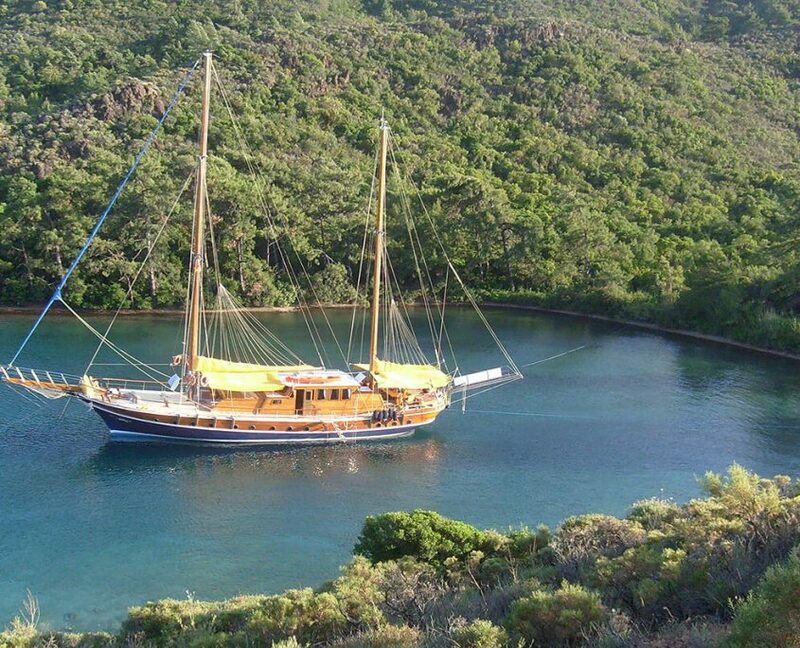 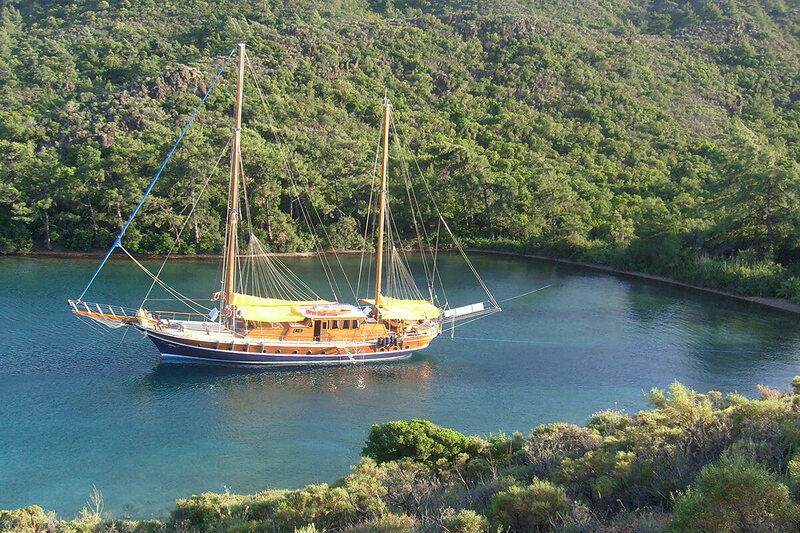 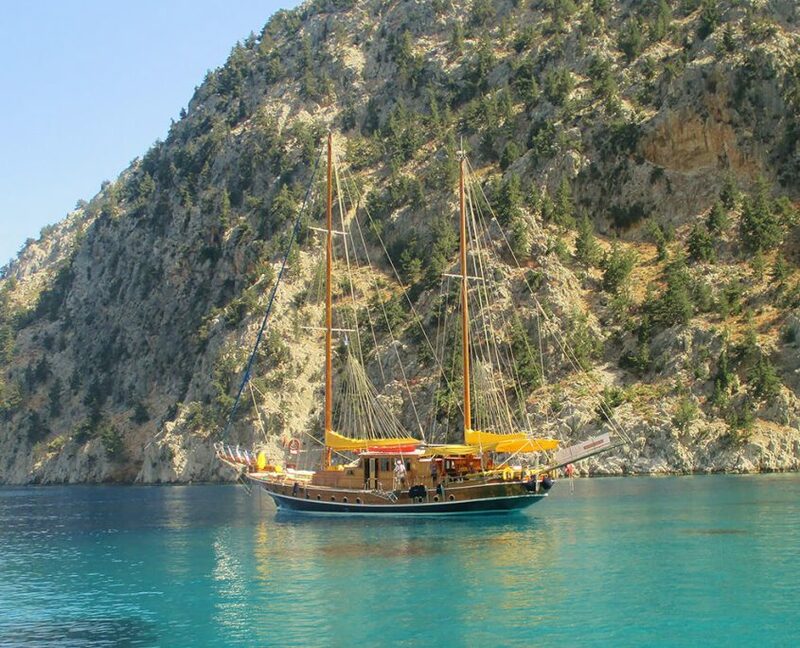 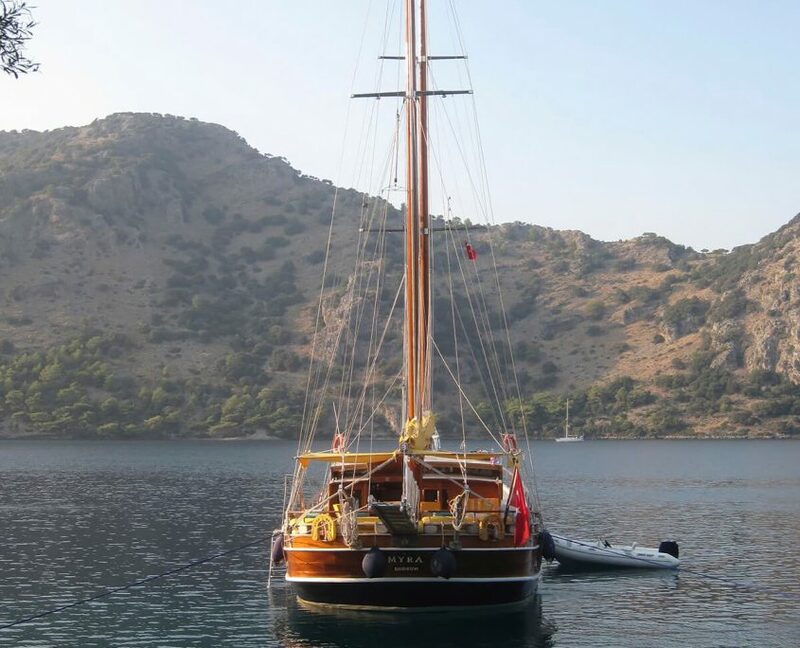 Myra is a purpose built charter gulet. 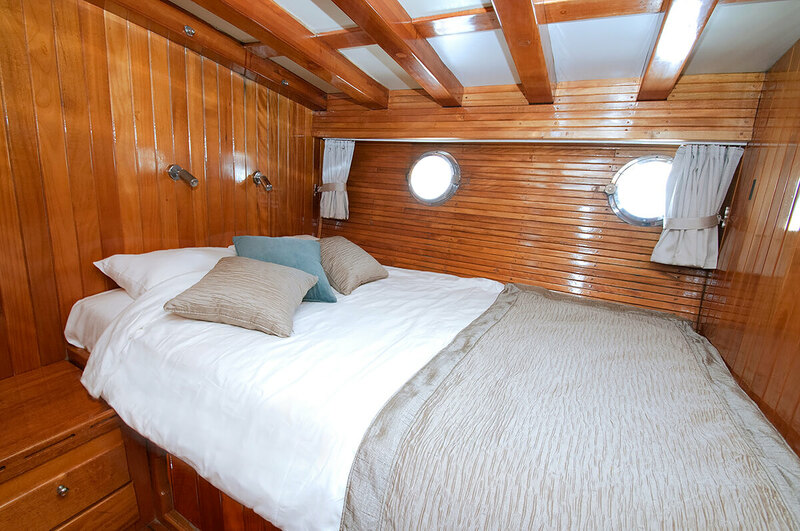 Accommodating up to 10 guests in 5 cabins, her long-standing crew will explore the blue sea with you. 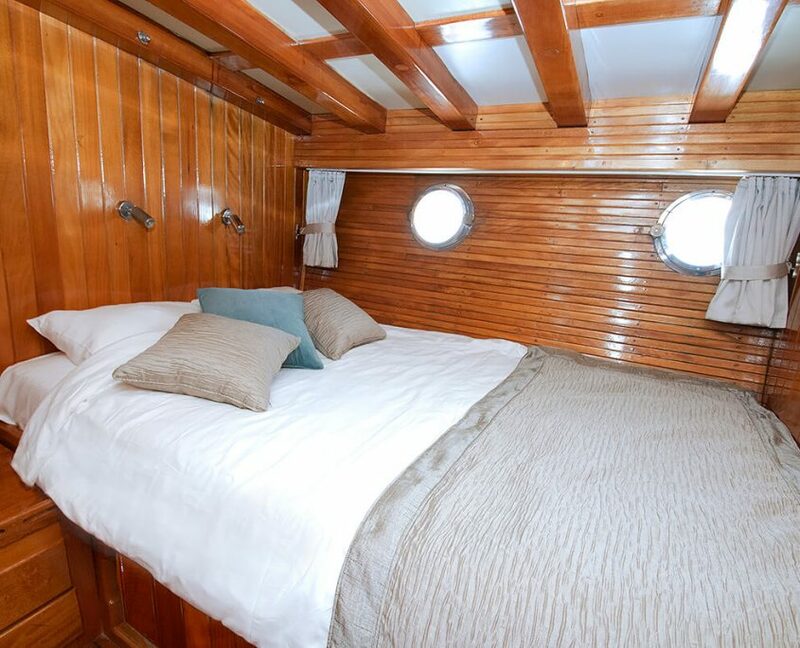 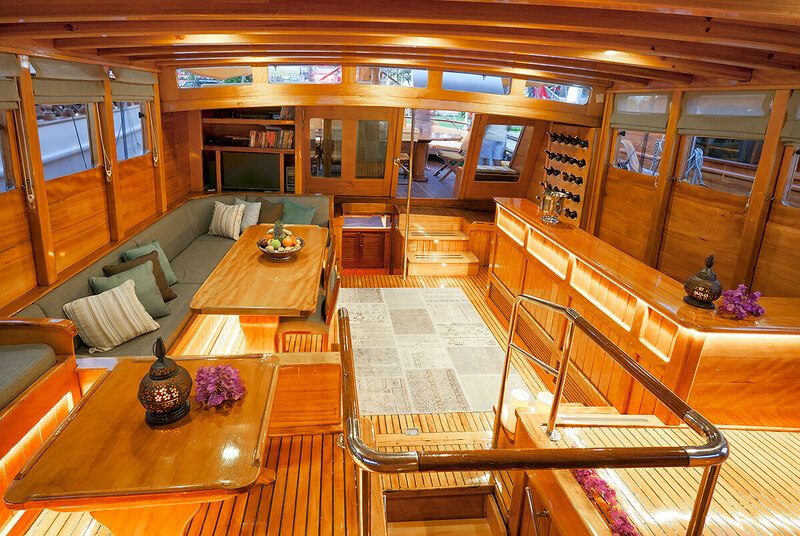 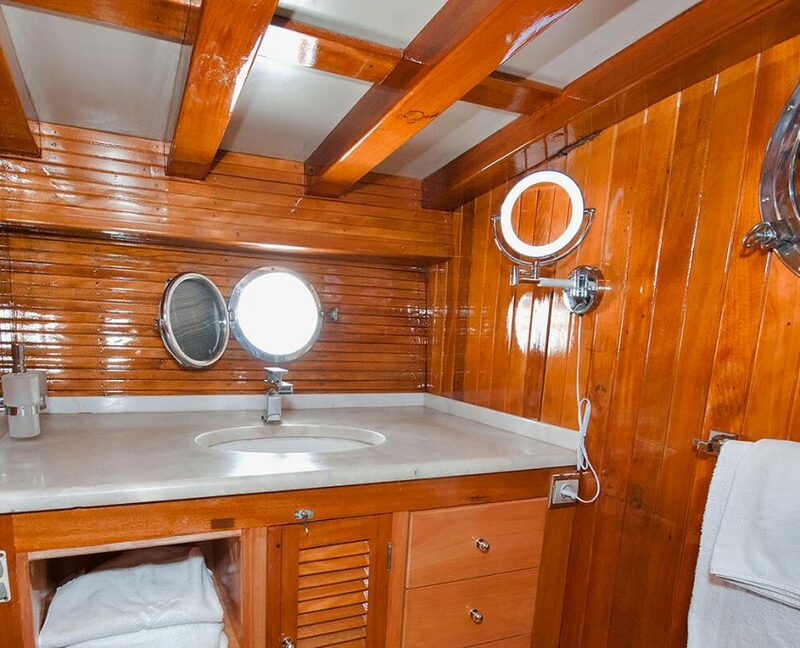 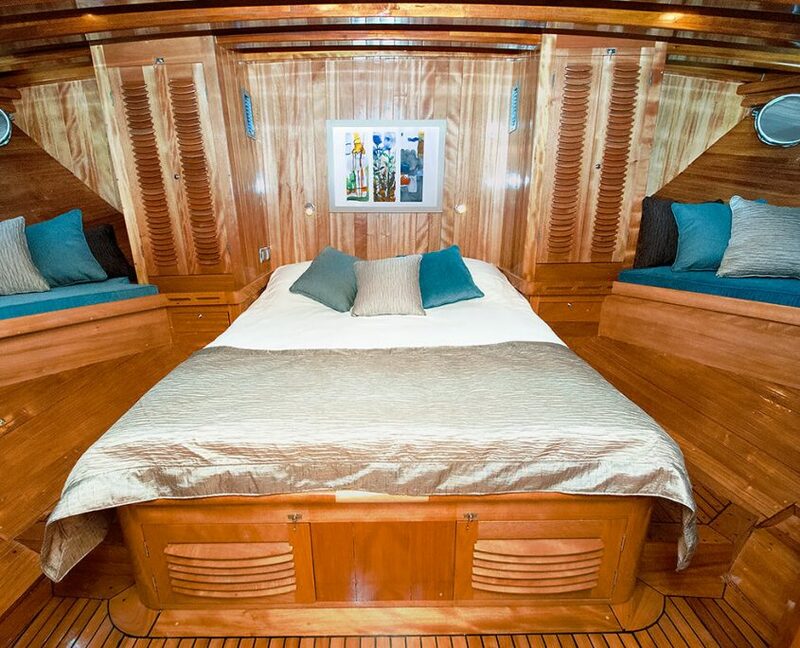 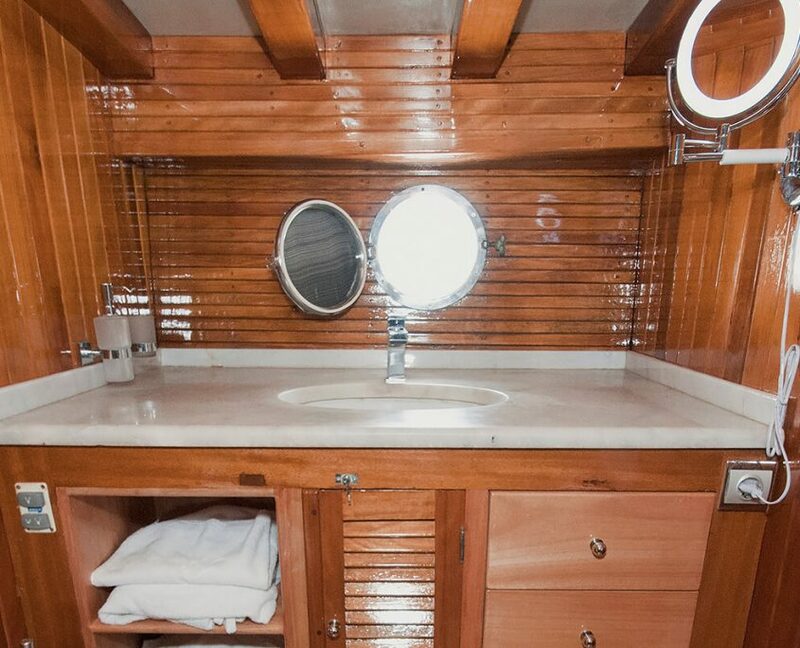 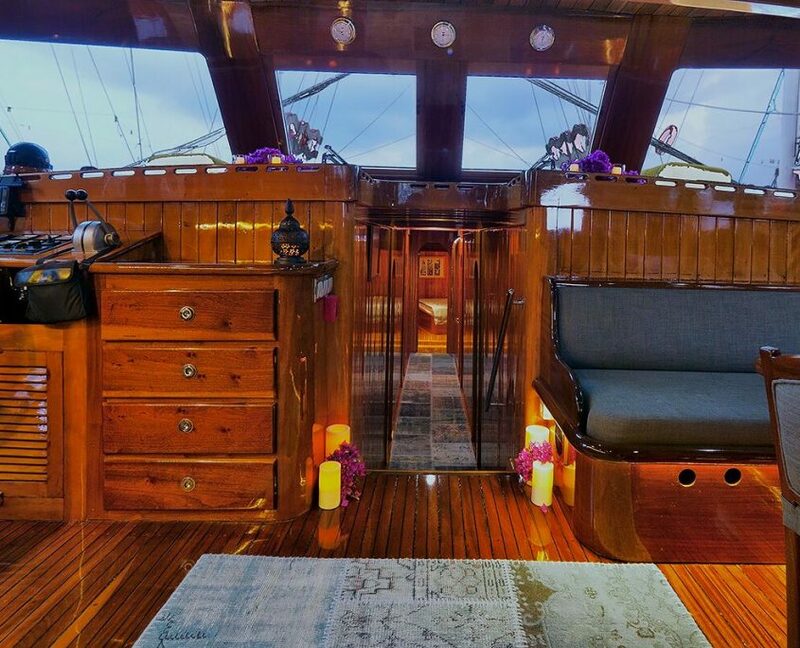 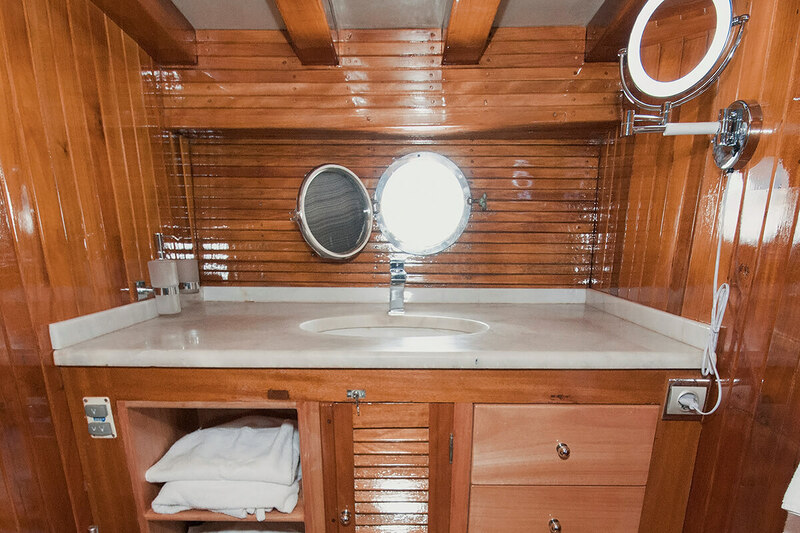 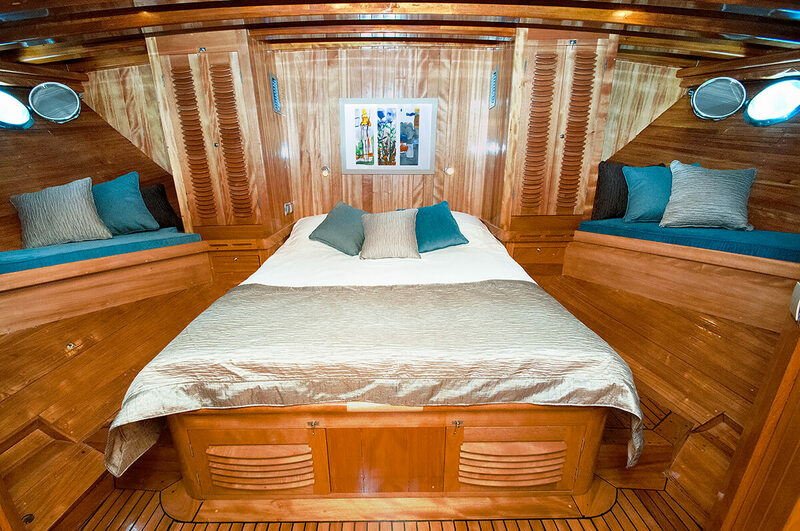 With a mahogany interior the 35 sqm main deck lounge has space for relaxing and formal dining. 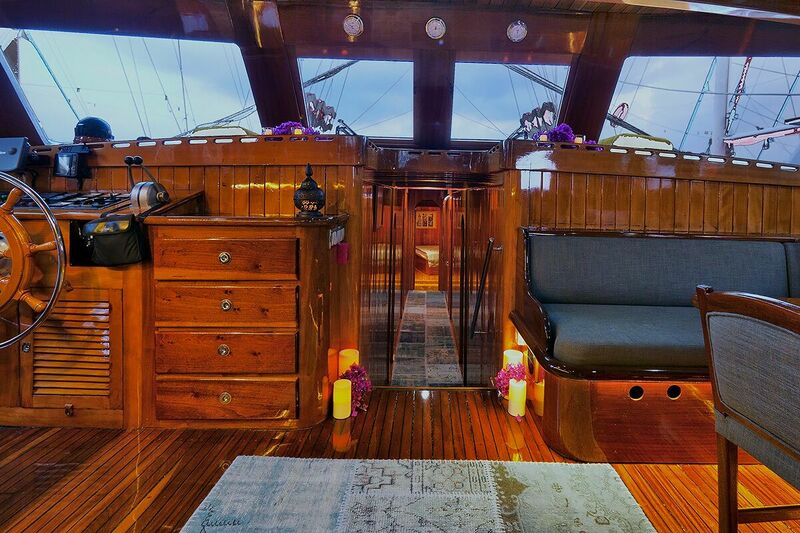 The brass porthole in the saloon are the result of loving research of the ship-owner, derived from an ancient ship trade. 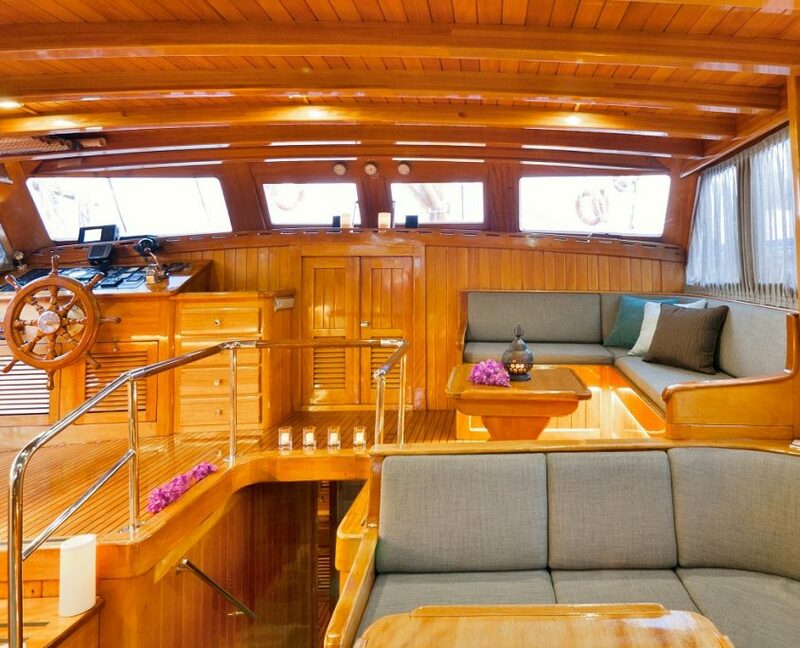 The comforts include 50 inch TV Sony in saloon, VCR Bose, stereo, CD, DVD, Home theater. 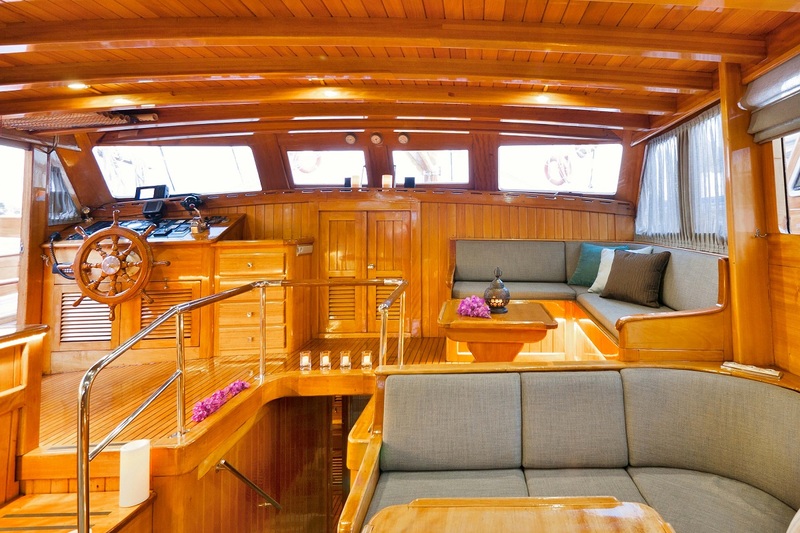 Outside there is a large bow sundeck with cushions and aft there is a table for twelve people for outdoor dining and relaxation area with even more cushions for unwinding in the sun. 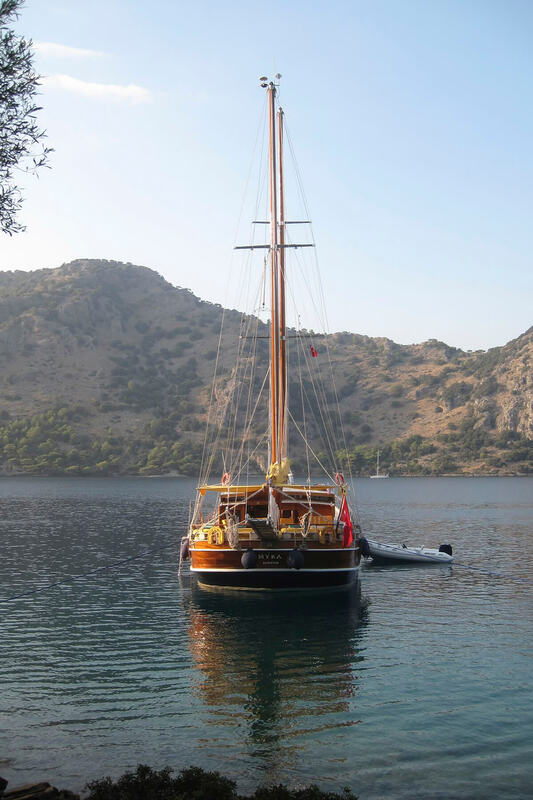 Myra has a fantastic crew of 4, 2 of which have been on board from the start. 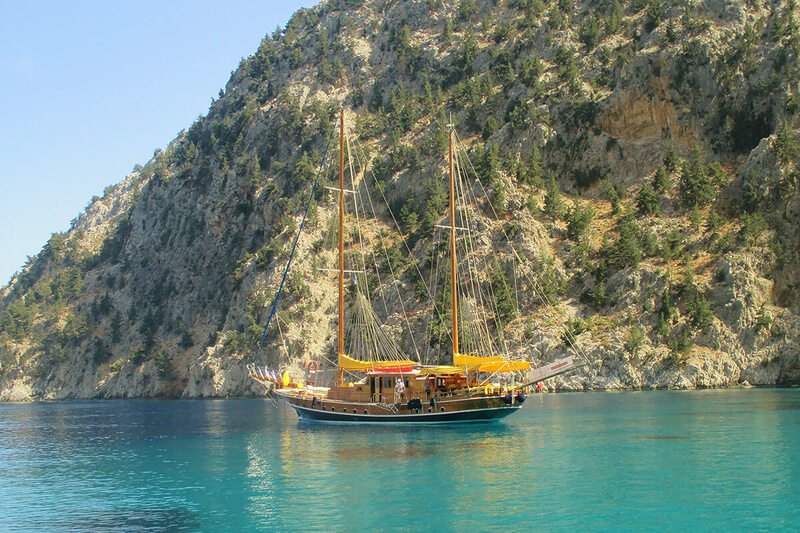 They know all that there is to know about Myra, and with plenty of experience they also choose the best routes and find all the hidden beauties of the area. 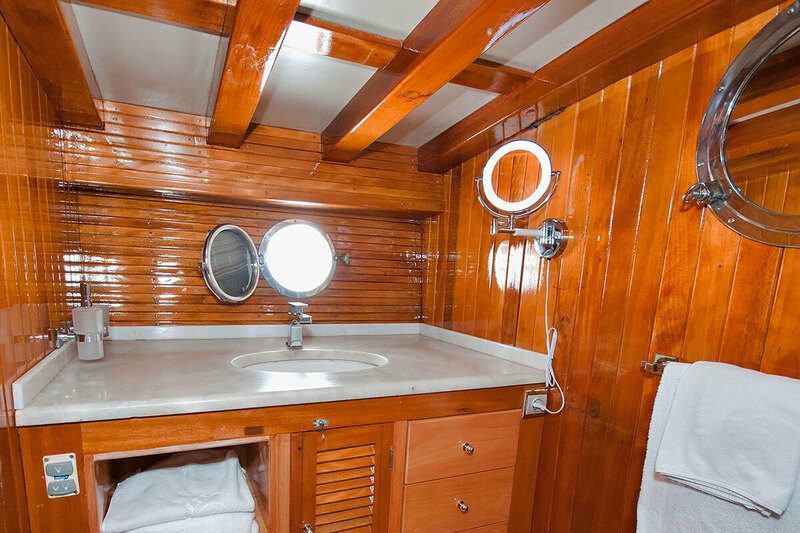 Music SystemMusic system in cabins and in saloon. 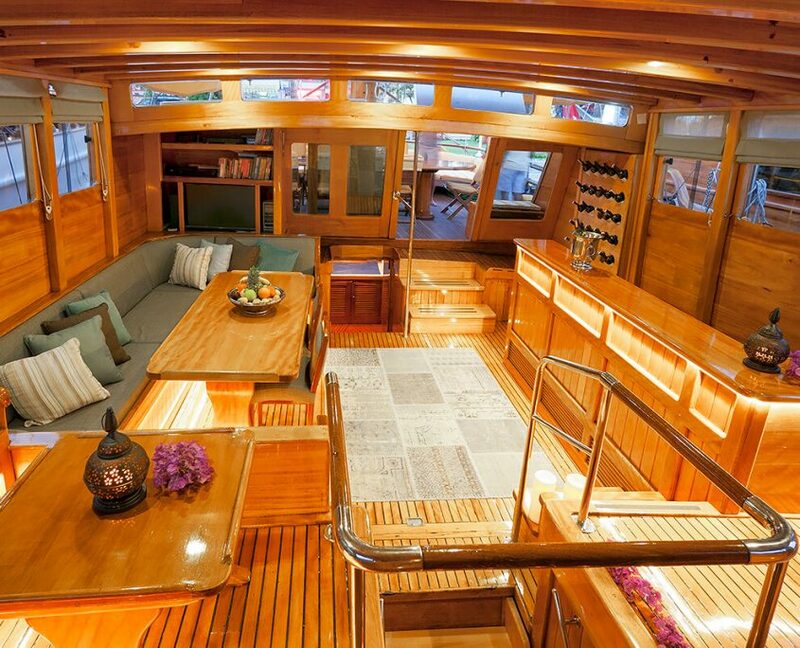 Speakers below and on deck. 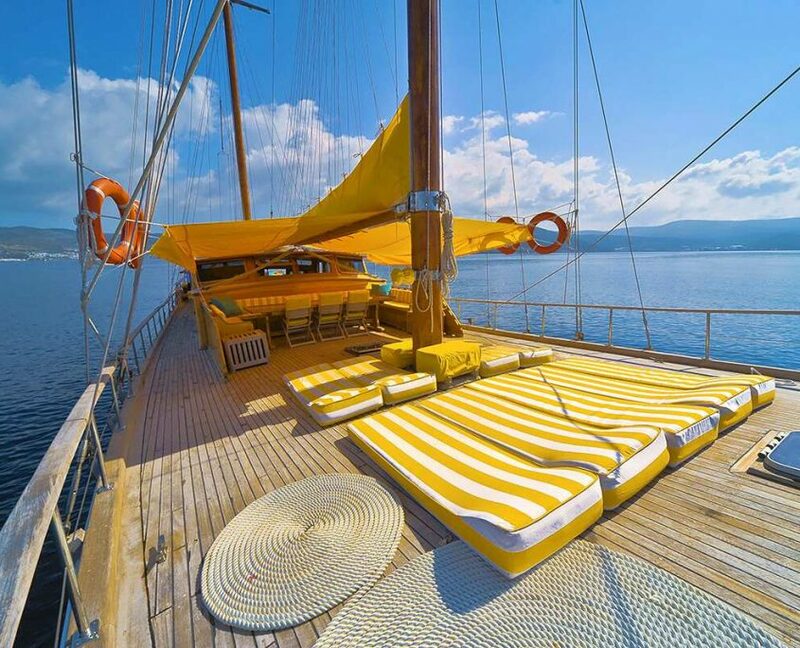 big sunbathing area, lots of water sports. 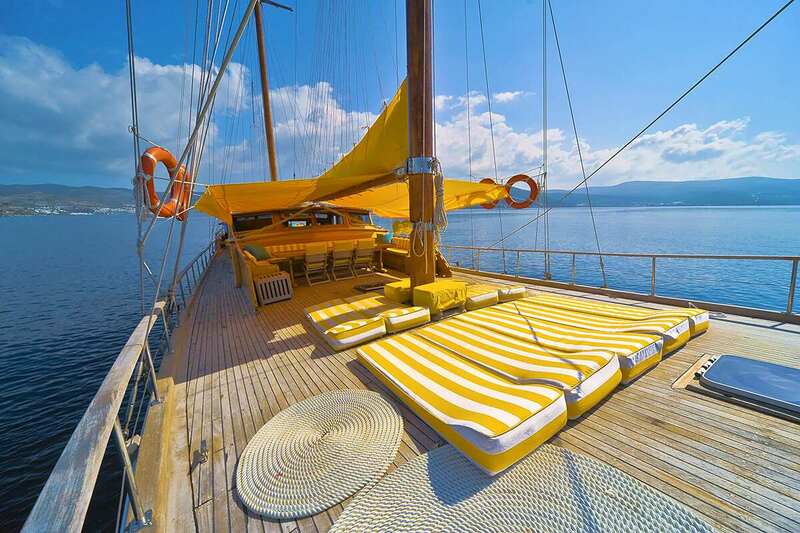 lots of cushions, sunbeds and watertoys.